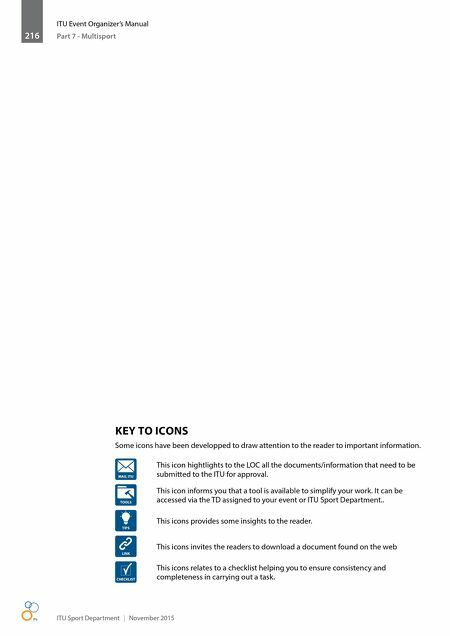 ITU Sport Department | November 2015 ITU Event Organizer's Manual Part 7 - Multisport 216 KEY TO ICONS Some icons have been developped to draw attention to the reader to important information. LINK This icons invites the readers to download a document found on the web MAIL ITU This icon hightlights to the LOC all the documents/information that need to be submitted to the ITU for approval. TOOLS This icon informs you that a tool is available to simplify your work. 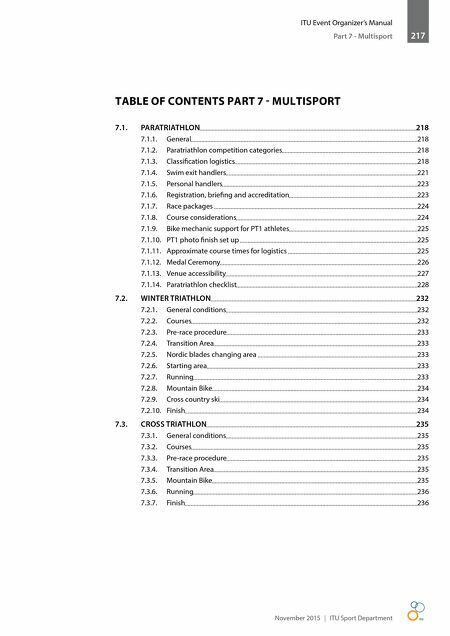 It can be accessed via the TD assigned to your event or ITU Sport Department.. TIPS This icons provides some insights to the reader. CHECKLIST This icons relates to a checklist helping you to ensure consistency and completeness in carrying out a task.